With a change in the season comes a new Willamette Valley Vineyards food pairings menu! Be sure to visit the Estate Tasting Room to try some of these fantastic menu options that pair perfectly with our classic Oregon wines you love. The menu now denotes meals that are or can be modified to be gluten-free, vegetarian and/or vegan. Below is our new menu. We can't wait for you to enjoy these new dishes! Over the years we have been dedicated to supporting our community by giving back to numerous non-profits and charities every year. This includes, but not limited to, donating tours and tastings as auction items for local non-profits and working with ¡Salud! to provide access to healthcare for Oregon's seasonal vineyard workers and their families. Last month, I received an invitation to continue our support of the community by participating in Dancing with the Salem Stars, an annual fundraiser to raise money and awareness for the historic Elsinore Theatre. I must admit, I was a little apprehensive at first, but between my wonderful professional dance partner and the support from Willamette Valley Vineyards staff, family and friends, it became one of my most memorable experiences. On the night of the event, audience members voted for their favorite act and I was honored to be voted first place, winning the coveted Mirrorball Trophy. 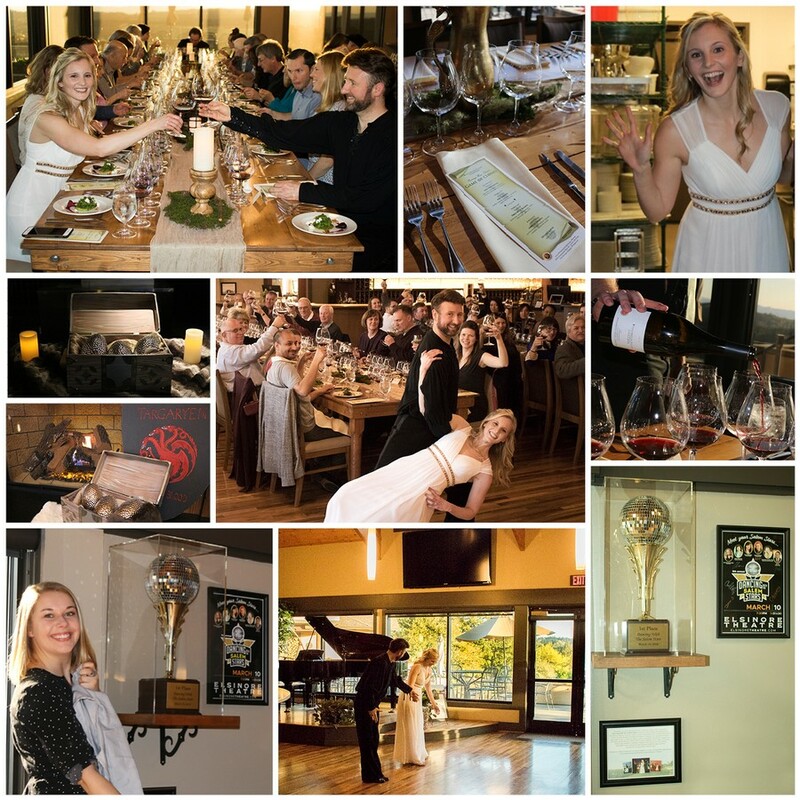 Last Thursday, at our "Game of Clones" Pairings Wine Dinner, Lead Winery Ambassador Kacie Copeland unveiled a new display in our Estate Tasting Room prominently featuring the Mirrorball Trophy. Immediately following the unveiling, I surprised guests by performing the winning dance to the Game of Thrones theme song with Executive Director and Owner Mark Lowes of Corvallis-based Utah Ballroom Dance Company. Below you'll find pictures from this memorable event. 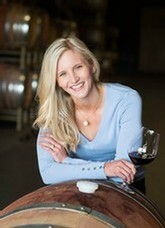 I hope you will visit us soon to view the new display in person, and join us for an upcoming Pairings Wine Dinner.